Latest from the master of mash-ups. This time less manic partying, more experimental artying. Released 31.1.2009. 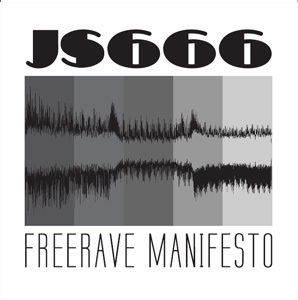 "Freerave Manifesto-collection presents you the non-dancefloor-friendly roots of JS666 in the shape of 18 experimental tracks from 1995-2003. Incorporating such academic techniques as computer processed spectral sound, reich-like phase shifting tape loops and chance process composition, etc it's quite a suprise for those who expect the usual gabba-frenzy. 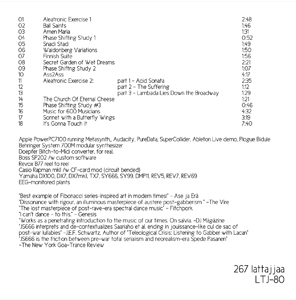 This is art with a capital F."
"JS666 interprets and de-contextualizes Saariaho et al, ending in jouissance-like cul de sac of post-war lullabies" -J.E.F. Schwartz, Author of "Teleological Crisis: Listening to Gabber with Lacan"